Focusing on GA and SA Comics! Traditional Comic Show with a Great Guest and Great Comics Dealers! Entry gets tickets for Free Raffle for Great Prizes! Show brought to you by: Rocky Mountain Con (look for our Fall 2019 show) and RTS Unlimited, Inc. Thanks for posting this! I'll be there! So, CDOT (Colorado Dept of Transportation) has decided to make life interesting for the show this weekend. 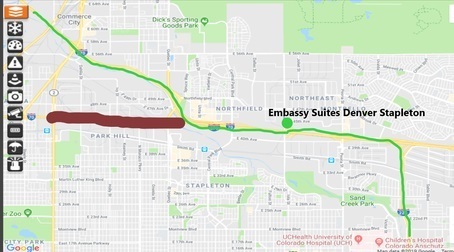 I-70 will be closed between Colorado Blvd and I-270, So, for those of you coming from the West on I-70 or from the South on I-25, just take I-25 North to I-270 and then head back down to I-70 East. Then use the Havana St Exit. Met Paul Gulacy and his wife last night. Super nice and super fun people! Can't wait to get a sketch from him!